It pays to track food prices and know whether they are predicted to increase or decrease. For example, the USDA expects beef and veal prices to decrease 2-3% in 2016, while they expect poultry prices to rise up to 1%. When it comes to egg prices, they predict they’ll decrease from 9-10%, while fresh fruit prices will increase 2-3%. You can see the increases and decreases aren’t consistent, especially when you factor in the sharp increases for beef and eggs in the past few years. By tracking food prices, you can revamp your menu so your recipes include more affordable alternatives. You might consider less expensive cuts of meat – chicken thighs, for example – and offer more egg options while prices are lower. Do you know where your food is going? If not, we encourage you to take inventory regularly and consistently so you can stay on top of your food usage and associated costs. Conduct an inventory of your food, beverages and serving supplies at least once per week This helps you keep control of your costs. When you conduct inventory regularly, you have a better idea of what’s being used, lost, or perhaps even stolen. You can use your usage rate to decide menu item costs as well and to get a feel for your profit line. Taking inventory also helps you during your ordering process and keeps you from ordering too much or too little. You also know how fast items are being used. For example, if you’re ordering too much fresh food on Monday that it spoils, you might think about splitting up the order so it doesn’t spoil as quickly. Conversely, do you routinely run out of food? Sometimes this can be good – like at the end of the night – but if you’re running out during the dinner rush, perhaps you aren’t ordering enough. Join a purchasing group to enjoy lower food costs. Why? Due to the sheer volume of the purchasing power, suppliers often offer lower prices. This is an ideal way for independent restaurants to compete with chains who have massive purchasing power and negotiation options. Food that comes prepared is more expensive than food that isn’t. For example, instead of purchasing chopped lettuce, buy heads of lettuce and cut them yourselves. Or, instead of buying pre-made hamburger patties, make your own. You can also work to reduce costs by cutting your own chicken in-house. Cut your chicken breasts to the same size, and use the leftover bits in other dishes. When deciding to do this, be sure and factor in labor costs to make sure it really is saving you money. Know what you’re paying for. For example, if you’re making guacamole, do you really need a No. 1 grade or a No. 2 grade avocado? The No. 1 grade is more expensive and unblemished on the outside. Does this matter with guacamole? No. So, go ahead and order the No. 2 grade and save some money. Just know what you’re paying for because sometimes the grade does matter. Keep record of all the waste your restaurant generates. · Food returned because it was made incorrectly. · Food that was spilled in the kitchen or on the floor. · Food that was burned in the kitchen. · Extra portion sizes that get thrown away. By keeping track of this, you can keep better track of your inventory and manage your food cost percentage. Additionally, then you can do what you can to reduce the instances of waste. Food waste can eat up your bottom line quickly. You goal is to serve just the right amount of food – you don’t want to over or under fill plates. How do you gauge this? Watch the plates as they come back to the kitchen. Is there a lot left on the plate, or are you going through take-out containers quickly? If so, you are most likely over-portioning your meals. Always work to make your and refine your ingredients’ list so you aren’t overfilling plates and losing money. Consider leaving prices the same but cut back some on the portion size to help manage food costs. It also pays to work with your cooks to make sure they measure everything correctly. Hold them accountable for measuring portions evenly. 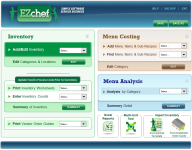 Menu pricing is an important aspect to managing your food costs. By pricing your menu items reasonably, your customers are more apt to return again and again, and you’re more likely to make a profit. · Direct costs are what you pay for the food itself. It involves the purchase price, portion sizes, food waste, overcooking and spoiling. · Indirect costs are those that involve the perceived value of your food – this is what allows you to charge higher prices. 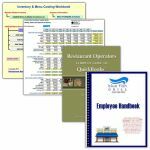 · Prep time and labor costs include what it takes to make the food. · Overhead costs should also be taken into consideration and include décor, presentation and marketing. · Volatile food costs are the ones that can fluctuate due to economic conditions, drought, flooding and seasonal items. · Your competition also matters when pricing your menu. Keep up-to-date on their prices so you remain competitive. · Your service costs are another thing to consider. Are you fast casual, fine dining or somewhere in between? Your prices should reflect the value your customers receive. If you provide full service, your pricing can be more. · Each restaurant is unique, and as such has its own pricing boundaries. You need to figure out what you can charge to make a profit while considering what your market can handle. 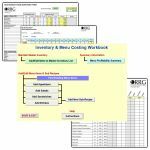 · Have a contingency plan for when costs change or a supplier goes out of business to help you avoid eroding your profits. Lastly, we want to leave you with some final thoughts. The first is to always shop around. Use your negotiating power to secure better deals. You can bet that your vendors have multiple prices for items, and everything is negotiable. Second, train your employees to care so they can help manage food costs. Consider offering incentives for reducing waste and bad orders. When they see the numbers reflected in their own paychecks, they might be more cognizant of waste and portion sizes. Lastly, always stay on top of your numbers so you can help manage food costs. Be more organized and look at these numbers on a routine basis. 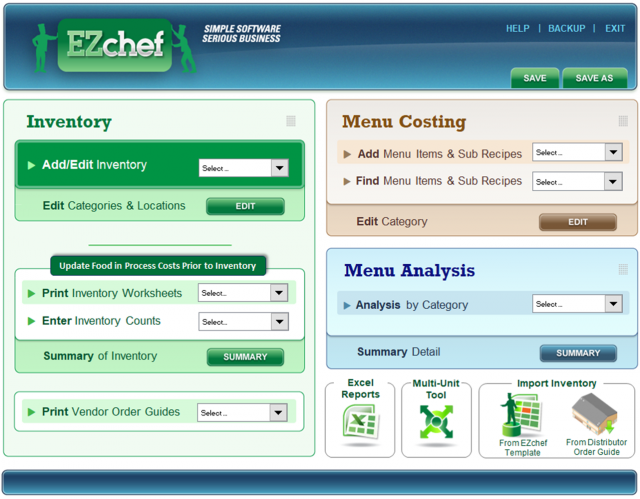 This helps you lower food costs and increase your restaurant’s profitability.